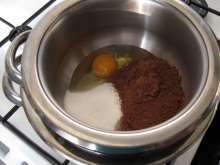 Beat eggs, sugar and cocoa powder over a steam. Let it cool to room temperature. 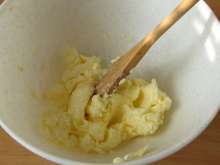 Let the butter soften and beat it with sugar. 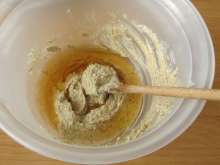 Add butter to the cream and beat it with electric mixer. 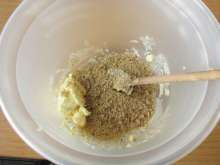 Grind nuts and mix them with butter. 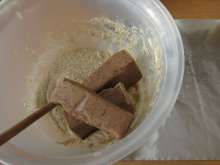 Blend in frozen cubes of chestnuts puree. 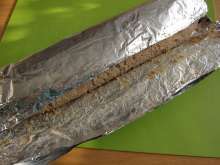 Place two layers of aluminium foil in on the baking tin. 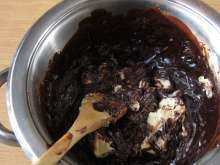 Spread chestnut dough over the aluminium foil. Spread Parisian cream on top of the dough. 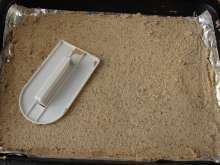 Take aluminium foil with the dough out of the baking tin and place it on the kitchen cutting board. 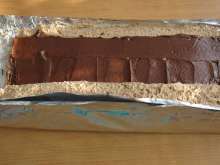 Use aluminium foil to form a jelly roll. 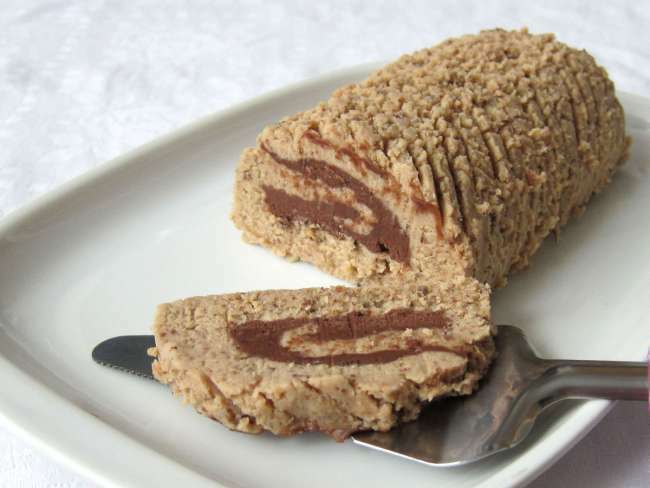 Pass the kitchen cutting board under the jelly roll and place it in refrigerator for 24 hours. 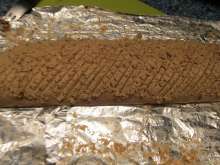 Remove aluminium foil from the stiffen jelly roll. 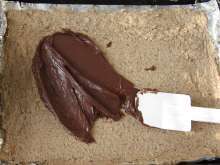 Cut into portions about 0,5 - 1 cm thick. Store in the cold place.